This Guide has been prepared with you in mind - an attempt to answer your most common questions that you have about natural stone. Because you are all very busy people, we have tried to make this Guide brief and as compact as possible. This Guide does not pretend to answer all the questions you may have or resolve all the doubts, but it does aim to address a large number of the questions that you have been asking our industry people over the years. Hopefully you will be encouraged to explore the fascinating world of Natural Stone, become as paasionate about natural stone as we are and use natural stone in implementing you ideas. Stone is a noble material. Man has preserved it in his victories and his laws, his religion and his art. Since the distant origins, man has used it to protect himself. He has made stone his partner, because it is solid and he can trust it. He learnt to sculpt it: and thus begun a long and passionate history of Stone and Man. It enriches in a thousand ways and surfaces with a new sense of touch. Man, when he builds or transforms his abode, should count on it, he cannot forget it, because the homes have soul, something of us. Stone does not have a higher price than other materials. It is a natural wealth of our world. What does cost money is the ugly: that which offends us and makes us vile. The beautiful things, such as stone, give us a little more happiness every day. The work of stone is our profession and we love it, passionately, and that is why, we with great pride, present it to you. Like the living beings, the stone has multiple forms and variety of characters. There are noble and solemn ones, lively and evocative. Radiant and bright as the firmament. Dark and mysterious as the depths of the lake. Among the new materials stone has remained close to Man, in a privileged place. The stone, like the skin, has its grain and its touch. Its warm colour such as the blood, fresh as water. It absorbs light or reflects it like a mirror. Stone provides an agreeable atmosphere, it is harmonious with the new and allows a lively contact with the things that surround us. 1. Why should I use natural stone? Stone is a natural product. It is respectful with the environment, it does not destroy it. It has proved its validity as a building product through its use over centuries, proving its resistance and durability. It is easy to use, clean and easy to obtain. Natural stone encapsulates beauty, history, culture, and in the mind of the people in all the cultures of the world, it is intrinsically associated with luxury, quality and permanence. 2. Can my client afford to buy natural stone? Most probably yes, because there are natural stones which are very economical in price, and even the customer with a limited budget is often surprised to discover how affordable natural stone really is. For each project a natural stone can be found which meets your preferences and fits your budget. When comparing the life cycle versus price with other alternatives, natural stone is definitely affordable. However, there are also stones in the market which are really exclusive and premium and, like all luxury products, command a premium price. 3. How can I find the natural stone suitable for my project? You should first ask yourself the following questions- in which climate will the natural stone be used, and for what application ? Is the climate of the place extreme, very cold, or very hot, is it moderate, or is it humid, or is it a combination of several climates ?Is the application for which you are looking for natural stone, an exterior or is it for interior ? Is it a wall cladding or is it a flooring ? Based on the answer to the above questions, you should now look for natural stone on the basis of physical and chemical properties and the local standards. 4. What kind of natural stones are suitable for my climate? The key is to know the natural stone application- will it be used outside or inside? Will it be used for an interior wall cladding, or will the application be for a high traffic flooring? Or will its application be a kitchen countertop or in the bathroom, or for use on steps, or window sills? The analysis of the physical and chemical properties of the natural stone will guide you to the best choice. 5. What is the range of natural stones that exist in colours? Endless! From pure white to the darkest black, and with a dazzling spectrum in between. The widest range of colors and their different combinations that exist in nature. 6. What is the geographical origin of the natural stones? In just about all countries of the world natural stone is extracted in some way, after this unique, wonderful natural product is a result of geological formation, the process of which began in the initial stage of the formation of our planet, hundreds of millions of years ago. 7. What is the difference between granite, marble, limestone, sandstone, slate? 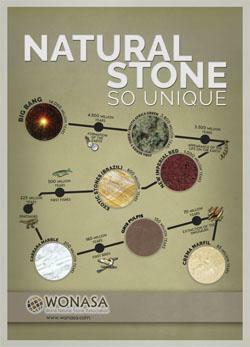 The difference between different types of natural stone starts right from the origin of its creation. Granite is an igneous solid rock formed by magma with at least 20% quartz in volume. Marble is a non-foliated metamorphic rock composed of recrystallized carbonate minerals, mostly common calcite or dolomite. Marble, in other words, is a metamorphosed limestone. Limestone is a non-foliated metamorphic rock composed of recrystallized carbonate minerals, commonly being calcite or dolomite. Sandstone is a sedimentary rock composed mostly of sand sized minerals or rock grains. Slate is a fine grained foliated homogeneous metamorphic rock, derived from the original shale-type sedimentary rock, composed of clay or volcanic ash, by means of low grade regional metamorphism. Each of the different varieties have their own properties and appearance and determine their suitability for the different applications one may require. 8. Is there a catalogue that shows all the existing natural stones? There are thousands of varieties of different types of stones, and new varieties are constantly appearing in the market as a result of extraction in new areas in different countries. The catalogues and the web pages of the different countries, or associations, individual companies, etc. show the stones that are extracted, or processed and marketed by them, and therefore, by definition, are only a partial database. It is also a good idea to check on whether the stone of your choice is still being extracted. Being a unique and irreplaceable product of nature, perhaps the deposits of the stone in question no longer exist ! 9. Why can we not have all the different types of natural stones that are available shown in the catalogues? How can I ensure that I finally get the natural stone that I have chosen? The catalogue is only the first step in the process of choosing a natural stone of your requirement. After analyzing the catalogues you should then ask for a real sample of the natural stone. In the case of selecting natural stone for a big size project, you could follow a further series of procedures. After having obtained a small sample, you could then ask your supplier to show you a small range of that particular natural stone variety initially so that you are, this way, better informed of what variations to expect. Obtaining the technical characteristics of the natural stone is then important. Bigger size samples could be asked for to get a better idea of how the final project will look like. If possible, in some cases, a visit to the quarries and factories may be useful and informative. Often a mockup at the source or the job site is done. And finally, quality control and inspection at job site may be needed. These procedures are often adjusted according to size of the project and country. 10. Is my stone sample an accurate/depiction of the stone? Samples only serve as an indication of a stoneÂ´s physical characteristic. Being a natural product, absolute resemblance, naturally, cannot be guaranteed. There may be variation in colour and in patterns. Try to see a big size slab or many slabs of the stone, if possible- it will give you a much better idea of what to expect. The modern technologies make your job much simpler - the high quality images that can be seen on the tablets and smartphones can give you a very good idea of what to expect. 11. What are the different finishes that exist for natural stone? There are a wide variety of finishes, all of them help to highlight the beauty of the natural stone and to serve a certain purpose of usage. Some of the finishes are- polished, honed, sawed, sawed finish with diamond disk ,bush hammered, flamed, aged, brushed, silk effect ( with or without shine), leather finish, antique, split finish, etc. Constant innovation by the industry has now allowed us to enjoy new finishes for different kinds of stones. The properties of each stone define which finishes can be applied and what changes take place to the aesthetic appearance of the material. 12. What are the different sizes recommended in natural stone? Depends on the particular application of the stone. Mosaics are available in the market in sizes as small as 1cm x 1cm. And there are also stone tiles of 1.20 m x 1 m, and sometimes, even bigger. Widely used sizes, however, are 60 x 30 cm, 60 x 60 cm, 120 x 60 cm. The architect can define the size of the project. Recommended sizes by the manufacturers are based not only on aesthetic criteria but also take into account the size of the blocks extracted in the quarries and the optimization in the production systems in the factories to achieve minimum wastage. 13. What are the general physical properties of natural stone that should be taken into consideration? g) Resistance of surface polish against weathering. 14. What has the porosity to do with the water absorption of stone? Porosity is related to water absorption and density of the stone. The higher the porosity, higher is the absorption of water phenomenon. Depending on the application, one should refer to the porosity scale. 15. What is the lifetime of natural stone? Eternal. What is the lifetime of the Pyramids (and they exist for 4000 years now)? Or those cathedrals, temples, mosques, palaces and imposing official buildings the existence of which we are taught of when we are very young and still exist when we are at the end of our lives ? In some places thousand year old buildings have been destroyed and recycled stone used in new buildings. In our modern buildings, however, the natural stone life-cycle is usually considered around 80 years. 16. How does natural stone compare to other alternatives in terms of sustainability? Sustainability in natural stone is best understood in the context of thinking of lifecycle. This would mean analyzing factors like preparation of raw materials, manufacture of pre-products, the production phase, end of life disposal, etc. Impact assessment includes energy consumption, raw material consumption, greenhouse effect, acidification, over fertilization, environmental toxins, waste, etc. Natural stone has already been made over hundreds of millions of years and it is mined and the processing is done by physical, and not chemical means. The sub-products can be recycled. The burden on the environment is low thus making natural stone the ideal hard floor covering, when green thinking and sustainability is the criteria. (For more information, refer to study done in Germany on hard floor coverings at www.wonasa.com). 17. What should be the structure of the building so that natural stone is used in external wall cladding? The main condition is the structure of the building must be solid enough to carry the weight of the stone, and thus must be properly designed. The stone can be fixed to any structure using suitable assembling technology which is determined by the characteristics of the construction. 18. What is the appropriate thickness when using natural stone ? The thickness is often subject to local standards which may vary from country to country. A key aspect to consider is the resistance of the stone to the force it is subjected to, in other words, it depends on the application. Generally speaking, in pavements, using granite, for example, if trucks are going to pass over it, use stone of more than 6 cm thickness, depending on the elasticity of the stone. 1 cm can be sufficient for the wall claddings. For kitchen countertops 2 cm stone can be used, though 3 cm and, in some countries, even 4 cm of thickness stone is also used for aesthetical reasons. Therefore, depending on the application and the properties, thickness may vary from 1 cm to 20 cm. 19. Is there any information available for fixing of natural stone in wall claddings? There are many official and non-official organizations who have elaborated manuals which define the criteria and specifications in the case of wall cladding and flooring. The different manufacturers of anchoring systems should also be able to give you full and complete information on the existing technologies. 20. Can natural stone be installed on an existing floor/on a dry screed with adhesives? The important thing is that no stress is caused which leads to deformation of the fixed stone and the whole structure remains durable. In other words, the surface on which the natural stone will be installed should be flat, solid, stable, and durable. There are many adhesives suitable for such floor assembling. 21. Can I install natural stone on my barbecue terrace? Yes. Just make sure that the stone you use is a high density, low absorption one, this will mean the floor will stay clean for a long, long time. 22. Is the installation of natural stone tiles complicated? Stone installation is best done and is easy when done by stone professionals. A great stone poorly installed may end up looking bad. If possible, ask your stone installer to show you his previous jobs on installation. The key thing to take into account is to choose the right stone for the right application. 23. Is there any good method for polishing natural stone after installing the tiles to make the joints look even? The joints can be filled with a polyester/epoxy based filler or adhesive. After hardening the entire surface is then grinded and polished. Expansion joints are then filled with a silicon sealant suitable for use in natural stone. 24. How can I avoid the situation of stains/efflorescence resulting from moisture and salts out after installation of the stones? The stone should be treated on the back side and on the flanks of the stone with an alkali-resistant special coating in conjunction with silica sand. 25. What kind of maintenance is needed for stones already installed? In general, natural stone is a construction material that needs very little maintenance if a little care is taken in treating it (depending on the stone). After installation a basic cleaning process is necessary to remove construction and installation related dirt. For daily cleaning water can be used in general; it is also recommended that from time to time special daily cleaning agents from reliable stone chemical manufacturers be used. 26. How can the natural properties of natural stone be improved by the use of chemicals? If the problem is that the stone is breaking up, there are resins which help to consolidate stone. If the problem is that of oxidation, then the oxide needs to be removed first and then the surface protected with specific resins to make them impermeable. Where is the stone installed ? In case it is a wall perhaps a water-resistant liquid may be needed every 5 years. Or perhaps an anti-graffiti. In restoration work, stone can be improved, it can be protected against external agents. The chemicals help to enhance the natural beauty of the stone. 27. How can I protect/seal/impregnate my limestone to prevent staining? Depending on the stone, it is advisable to use either non-colour changing or colour enhancing impregnators. Impregnators penetrate inside the stone surface, however, they do not form a coating layer. Impregnators allow the stone to keep its breathability but at the same time protect against the easy penetration of soiling substances (oil, water, dirt, etc.). 28. Is it true that polished natural stone is very difficult to keep clean compared to ceramic tiles ? Not so, especially in the case of granite. In the case of certain marbles and limestone, it is important to follow the right guidelines for maintenance. 29. What are the technical standards for stone used in exteriors? There are different standards in different places. In the USA, for example, the ASTM standards are followed, in most of Europe the EN standards are the norm. In the UK, the BSI standard prevails. 30. Is natural stone radioactive? 31. What steps should be taken to avoid problems when fixing stone or when doing so in old buildings? By properly following existing established standards and guidelines, you should have no problem. How will the stone be installed? There is an appropriate stone for each place and application. 32. The natural stone installed is losing polish. What should be done? If the stone is bland, you can fill it with a liquid resin that strengthens it. If the stone has scratches on the floor but you do not want to polish the whole floor, then use products which even though they do not remove the scratch, end up giving the impression that the scratches are no longer there. Alternatively, in the case of a big floor, you may need to grind and polish it again. 33. There are holes in the stone installed. How do I solve this problem? Holes can be filled with transparent and coloured fillers. Depending on the size of the holes and their number, either a spot repair with a UV-Filler or a treatment of the whole surface may sometimes be necessary. In very cold and rainy weather climates, for external use, avoid using polished or fine honed finishes in natural stone floorings in exteriors, since they will create problems of slippage. Better to use flamed, or bush hammered or any rugged finish. It is advisable to apply an anti-slippage finish to the stone. To avoid anti-slippage on stone installed inside a building, anti-slip stripes made of 2-components - Âepoxy containing corundum should be placed on the stairs. In the entrance areas, anti-slip agents enable roughening up of the polished surface. To avoid efflorescence / salt / moisture stains on stone installed, the stone should be protected on the back side and the flanks with an alkaline-resistant special coating in conjunction with silica sand. When doing exterior cladding made of a soft natural stone (like soft limestone, for example) in a cold climate, care should be taken to follow the right criteria. When deciding on the sizes of natural stone pieces for cladding or staircases, also consider whether there may be difficulty in transport, in handling and assembling of the pieces. When choosing natural stone for countertops, it is not enough to consider only the visual, aesthetic aspects, one should also consider the physical properties. Limestone and marbles should, in general, not be used as kitchen-tops, since they are not acid resistant. To protect against stains from oil and grease, a special impregnator should be used. For countertops use smooth finishes avoiding the rough finishes which are more difficult to clean. Fountains are often made of concrete and then finished with stone elements. Often the joints look ugly after a short period of time due to water penetration effect. This problem can be avoided by using solid and well sized elements eliminating the joints to the minimum number. Alternatively, it is advisable to bond the stone cladding on a fountain with 2-component- epoxy- adhesives and also fill the joint with 2- component-epoxy- adhesives. In this case, no efflorescence from the cement will appear. When using under the floor heating, some stones (like travertine, for example), which are filled, the filler can pop up due to the heat. This is not a defect. Particularly if the heating is done with water, run it before installing the stone tile so that the concrete settles down, this way the risk of the stone cracking is highly reduced. Some stones need to be resined on the face, or reinforced on the back side. This way these stones become more stable, and we can now enjoy a wider variety of what is available in nature of natural stones. Natural stone is beautiful, representative, and thanks to modern techniques of quarrying, manufacturing, and processing, affordable for almost anyone. Each slab is a piece of nature and, therefore, unique. Natural stone remains, ‘naturally,’ unchanged over centuries; it is not subject to the constant fluctuations of market currents, to what is ‘hip’ and ‘fashionable,’ as is the case with artificial/synthetic materials. Furthermore, natural stone provides the designer with many a possibility of usage and application. Flooring and paneling can be treated with a number of surface applications: depending on the surface treatment, the stone appears lighter or darker, its colors can be more or less intense, it can feel smoother or rougher. Natural stone can be manufactured in massively diverse ways. As such, flooring and paneling, processed, to offer just one example, with ceramic tiles, can be complemented with as many other items as massive shower trays, washbasin, shells and panels, basin and pool bordures, monolithic bathtubs, and even sculptures. There is a plethora of different stones with a wide variety of colors and textures, each one with its own properties and characteristics. This individual variety comes with its own structural-physical properties. Now, this rich variety can be both a blessing and a curse. It can be the reason for wrong choices and improper treatment regarding cleaning, protection, and care. These mistakes in treatment cause problems which can often, unfortunately and unjustifiably, bring natural stones into discredit. Even misnomers, such as referring to all hard stones as “granite,” have led to an unjust discrediting. Not all hard stones are “granites,” and very often what is referred to as “granite” is not a genuine granite in the stricter sense. This guide provides the consumer with an “easy-to-read” manual in the form of questions and answers and helps him or her to master the daily challenges of preserving the original quality of natural stones in order to enjoy for the longest possible time this precious and valuable material. Q1. What is the difference between granite, marble, limestone, sandstone, slate ? Granite is an igneous rock with at least 20% quartz and up to 65% alkali feldspar by volume. Marble is a non-foliated metamorphic rock composed of recrystallized carbonate minerals, mostly common calcite or dolomite. Marble, in other words, is a metamorphosed limestone. Limestone is a non-foliated metamorphic rock (sedimentary rock) composed, mainly of skeletal fragments of marine organisms such as coral, forams and mollusks. Its major materials are the minerals calcite and aragonite, which are different crystal forms of calcium carbonate (CaCO3). Sandstone is a sedimentary rock composed mostly of sand sized minerals or rock grains. Slate is a finely grained, foliated homogeneous metamorphic rock, derived from the original shale-type sedimentary rock, composed of clay or volcanic ash, by means of low grade regional metamorphism. Each of these different varieties has their own properties and appearance, and requires therefore an individual approach and differing applications. Q2. What is hard and soft stone? Generally, stones are categorized into hard and soft stones. “Hard stones” include granite, gabbro, syenite, and diabase. The materials subsumed under this category are wear-resistant and in most cases suitable for all forms of installation. Commercially, these stones are mistakenly referred to as “granite.” Equally classified as “hard stones” are porous vulcanite and slate stones. These, too, are suitable for any kind of installation. “Soft stones” range from so-called sedimentary rock such as limestone and argillaceous shale to metamorphic rocks such as marble. In most cases suitable for flooring, these stones are mostly used for paneling and less demanded areas. Commercially, these stones are commonly referred to as “marble” or “limestone.” Sandstones, too, offer a variety of possible applications if used as soft stones, preferably as flooring material. Q3. What is the stability of the natural stones against acidic chemicals? Generally, soft stone (such as limestone, marble, many sand stones, argillaceous stone) are acid-sensitive and are therefore not to be treated with acidic chemicals. Hard stones (such as granite), on the other hand, are acid-proof. However, the general classification of “granite” includes some gabbro and basalts which are not acid-proof, such as, the Indian Star Galaxy or the South-African Nero Absoluto and Impala, as well as different kinds of diorites such as the Brazilian stone Tijuca. These “relatives” of granite consist of a wholly different chemical composition and can therefore not be classified as granites. Additionally, what is commonly referred to as “black granites” include natural stones which are not granites at all and which, therefore, are also not acid-proof. Q4. How to choose the right natural stone for a project? Besides the appearance, colors and design of the natural stone the most important criteria for choosing the appropriate climate for indoor and outdoor applications are: frost resistance, abrasiveness, water absorption, acid resistance, suitability for flooring and cladding, polishing possibility. Q5. Why is it necessary to pre-protect the stones before application? The main concern before application is begun is how to protect the stone against attacks. Protection concerns all six sides (surfaces) of the stone. Q6. How to pre-protect the Natural Stone for indoor application? Flooring and Walls (Façade dry-cladding): The best way to prevent blooming and stains caused by moisture and to avoid or reduce rust stains is to impregnate all six sides (surfaces) with a suitable solvent- or water-based Stone Protector. Walls (Façade wet-cladding): In case of wet-cladding it is recommended to seal the back-side of the natural stone with a thin coating layer of a 2-component resin system with quartz sand dispersed on it. The quartz sand layer acts as an adhesion primer to the laying cement mortar. Treat the remaining 5 sides with a suitable solvent- or water-based Stone Protector. Q7. How to pre-protect the Natural Stone for out-door application? Flooring and Walls (Façade wet-cladding): In both cases it is recommended to seal the back-side of the natural stone with a thin coating layer of a 2-component resin system with quartz sand dispersed on it. The quartz sand layer acts as an adhesion primer to the laying cement mortar. Treat the remaining 5 sides with a suitable solvent- or water-based Stone Protector. Q8. How to pre-protect the Natural Stones (marble as well as granite) by laying a floor or to install by wet-cladding, if the back-side is already treated (protected) with net and resin, which could not adhere, using a cement mortar? In both cases it is recommended to treat the back-side of the natural stone with a thin coating layer of a 2-component resin system with quartz sand dispersed on it. The quartz sand layer acts as an adhesion primer to the laying cement mortar. The other 5 sides we treat with a suitable solvent- or water-based Stone Protector. Walls (Façade dry-cladding): The best way to prevent stains caused by moisture is to impregnate all the six sides with a suitable solvent- or water-based Stone Protector. After the end of installation two important procedures follow: the initial post-installation cleaning and the basic protection. Q9. With what forms of staining and dirt are we dealing with? 1. Cleaning blown-up coarse dirt (e.g. sand) and fine dirt (e.g. coarse dust). 3. Cleaning special stains (e.g. residues of epoxy resin or stains caused by packaging material that had been placed onto the surface). Q10. How can coarse dirt be removed? Coarse dirt can only be removed mechanically by using an upright vacuum cleaner or vacuum sweeper. Do not use a broom, since that would blow up quartziferrous dusts which are highly damaging to one’s health. Avoiding any production or proliferation of dust is paramount. Q11. How can I remove the adhering dirt (water-solvent)? Water-solvent dirt is removed by damp- or wet-wiping. With vacuum scrubbing a mechanical support is being provided (scrubbing) that helps unstick and detach of adhering dirt while suctioning the dirty water. Same goes for wet scrubbing with brush or pad and subsequent wet suctioning. Q12. How can I remove the adhering dirt and stains (not water-soluble)? - Dirt and stains that can be removed with alkaline cleaning products, e.g. waxes, fats, general soiling’s. - Dirt and stains that can be removed with solvent cleaning products, e.g. oils, adhesive tapes. Q13. How can cement residues be removed without damaging the stone surface? Considerable maltreatments can happen with the cement residue removal. Cement residue are rests of cement join fillings sticking to the floor surface. These can only be removed by using acidic solvents. Cement residue removers are, consequently, acidic products, which dissolve residues of cement and lime. The composition of the products (kind and concentration of the acid) can vary considerably. Every kind of acid has its pitfalls and not all of them are universally applicable to all natural work stones. Depending on surface treatment and intensity of pollution, mechanical assistance should be added to every application of cement residue remover. If the stone is not acid-resistant, a mechanical removal with an alkaline solvent can be attempted; however, the cleaning product will not immediately and entirely remove dirt from the surface. In the acid-sensitive natural stone with a rough surface, removing cement residues presents a different situation. Often one is faced with the question of whether to grind over or rework the natural stone to the entire floor material. In this case, it is possible to use a highly-diluted cement residue remover after having pre-wetted the surface in order to acidify the surface, if the resulting roughening of the stone remains unperceivable on its rough surface and the damage remains within acceptable terms. Q14. Why do I have to pre-wet the acid-sensitive natural stone before applying acidic chemicals? The easiest way to protect both the natural stone and the joints from acid is to pre-wet the floor. The rule is simple: if water has got in, then acid cannot get in. The cement residues then lie on the surface and can be dissolved by the acidic influence. Most cement residue removers dissolve the cement, but do not clean the its surface. For the sake of neutralization, the flooring must be cleaned with an alkaline basic cleaner. It is advisable to always test the product on an inconspicuous area, since it is never completely clear what the exact reaction is going to be between stone and product. Q15. What happens with the joints during the cleaning process? The joints are very acid-sensitive, even those made of synthetic material. As a general rule, there should be a ten-days waiting period between the jointing and the cement residue removal. Additionally, pay attention to the guidelines of the grout manufacturer. Q17. Is a final protection necessary? Yes. The pre-protected surface of natural stone after the intensive cleaning with more-or-less strong chemicals and in addition to the mechanical strain during the cleaning is not enough for a long-lasting protection. In case the natural stone after laying will be reground and re-polished (mainly for soft stones),a basic protection is compulsory. Q18. How many kinds of protection do we have at our disposal? Impregnations are classified as water-repellent (hydrophobic) and water- and oil-repellent (hydro- and oleophobic). The applied impregnation product penetrates into the surface pores of the stone and is taken up by the poricidal walls. A capillary transmission of fluids into the stone is made impossible. Impregnation products do not entirely close up the pores of the natural stone, however, transmission of water is only possible in the form of vapor, no longer in liquid form (water vapor diffusion). Depending on the product, the rate of water vapor diffusion may equally decline. Q19. What is the difference between sealing and impregnation? Unfortunately, in the English language, we use for both kinds of protection, the word “sealer”, “sealing”. The word “sealing” in case of impregnation is misleading. It implies that the stone is so entirely covered that it is unable to breathe, which is not the basic property of the impregnation. Sealing can be achieved; however, it depends on the kind of stone. For example, we could do sealing on “sheet stone” like slate, or where the back-side of natural stone is open to ventilation (e.g. ventilated façade). Impregnations are not layer-forming, but penetrate into the stone structure and cause a visible reaction on the poricidal surface. They emulate the natural vapor diffusion rate of the stone. Therefore, they do not provide a complete protection against stains, they solely prevent stain-producing substances from entering too easily into the stone. Impregnations do not provide protection against acids, such as those found in fruit juices. Sealings, on the other hand, are layer-forming products. They should not be applied to backstage moistened coverings since they prevent a diffusion of humidity and can therefore cause discolorations and whitening underneath the covering. Sealings should not be used on or around kitchen countertops, since they are not particularly heat-resistant or scratch-proof. To avoid unnecessary trouble or reclamations, the costumer or client should be thoroughly briefed beforehand. Q20. Who should perform the impregnation? In general, a stone expert, e.g. a stonemason, who is familiar with the impregnation of flooring and other surfaces made of natural stone. The person should, however, prove conversant with the application of adequate products as well. Q21. Can impregnation protect the stone from acidic influences? Impregnations provide primary protection, i.e. the absorption of stain-forming substances is being delayed and reduced by impregnation. Impregnation does not protect against acidic influences. It is important to remember that drinks such as fruit juices, sparkling water, fizzy drinks etc. are considerably acidic and can attack acid-sensitive stones. Stains caused by acidic influence are therefore immediately to be removed. Q22. How many different types of impregnation products are there? It is important to note that even with impregnation products which are not color-enhancing, a deepening of color, albeit a slight one, can occur the color depending on the stone. Therefore, a test-application on a sample area should be conducted before the actual procedure. If need be, obtain previously an official approval from the client. In certain cases, a more or less intensive deepening of color might be in the client’s interest. Solvent-based impregnations give the impression of a more intense color. Thanks to their superior penetrating properties, these products achieve a better effect on stones with diminished absorption. Q23. What does one have to take care of before beginning with the impregnation? A dry and cleaned stone surface is especially important for a successful impregnation. Before any impregnation, the surface must be dried and cleaned. All stains must have been removed and the surface should be absorbing. A thorough cleaning is the essential pre-condition for a later successful protective treatment. Stains that have not been properly removed before treatment are a lot more noticeable and much harder to remove post-impregnation. Q24. How can one decide on a water-based or solvent-based product? 4. Insufficient protection effect can cause marginal damages. Q25. What causes problems during and after impregnation? 1. Too much remaining moisture after laying and cleaning, respectively. 2. Overapplication: surplus on the stone surface (film formation). 3. Underapplication: too sparingly applied product leads to insufficient protection. 4. Stone warming (sunlight exposure, underfloor heating) causes film formation due to the solvent evaporating too rapidly. 5. Insufficient pre-cleaning (rests of cement residue, other forms of pollution and residue of previously applied care products). 6. Exposure to humidity immediately following impregnation (especially in outdoor areas, e.g. rain). Q26. What is the behavior of “dark stones” to impregnation? Several dark stones can alter their color after an impregnation treatment. In many cases, this is a desired effect. There are many natural stones, however, which react differently to impregnation solutions and end up covered in stains and spots. This often happens in rough materials such as quartzites and gneiss. Other stones, such as the Norwegian Otta Phyllit, can lose their so-called 3D-effect, a three-dimensionally looking shimmering on the surface, after an impregnating treatment. The impregnation of such sensitive kinds of natural stone specially require an impregnation with Nano-effect. These products are applied onto the clean and dry surface. After an application time of 5-10 min. the residues are being removed. The full impregnating effect sets in just after 2 hours. The product does not cause any color deepening. Q27. How can I determine the dryness of the stone surface? There is a simple test to determine whether the stone surface is sufficiently dry. Lay a foil or newspaper over the surface. A “sweaty” foil or a “wrinkly” newspaper point towards a prevalent humidity. This test might be imprecise, but can be easily executed. It is important to stick to the necessary waiting time between cleaning and application. Often, a floor surfacing seems to be completely dry within an hour after cleaning. This appearance may be deceiving. Far from being dry, the stone may be completely soaked inside its capillaries. The duration of the drying time depends, among other things, on the absorbing capacities of the stone and climatic conditions such as temperature and humidity as well as existing ventilation. Q28. Which tools are used to apply stone impregnation? To impregnate a stone, the product should be applied fully and evenly with a paintbrush, seal brush, flat dust mop, and short paint roller in a cross stitch pattern. Impregnations can be sprayed too, e.g. on vertical areas. Liquid impregnations are best sprayed onto the surface, since this technique facilitates a more even application than using a roller. During application, it is important to avoid leaving behind puddles. Surplus material must be removed with cloth or paper before drying up. Q29. Is possible to repeat the impregnation? Re-impregnations are unproblematic with liquid products, but can cause problems with solvent-based products. It is therefore advisable to apply sufficient impregnations and to facilitate an immediate and complete absorption, since a surplus of impregnation will cause a film formation on the surface which will then have to be removed. A film on a stone surface impregnated with solvent-based products will cause uneven abrasion under mechanical exposure (e.g. footprints). Such films can easily be removed up to one week after impregnation with a basic cleaner or an impregnation remover. Nowadays, many natural stones with polished surfaces have been pre-treated as early as in the factory (resination) stage. As a result, the stone’s absorption properties are highly diminished. Surfaces of these stones can change considerably when treated with solvent-based products. Q30. What is the Life-time of impregnations? Regarding liquid and solvent-containing impregnations, the life-time of the treatment depends strongly on cleaning and care of the impregnated areas. If cleaned with alkaline substances, water- and oil-repellant impregnations are much durable than impregnations that are only water-repellant. Kitchen countertops should be re-impregnated once a year, surface coatings in bathrooms or swimming areas once every three years (showers and washstands once a year). For coatings in regularly utilized areas which are carefully maintained re-impregnation should be considered every 5 to 10 years. Q31. Which are the well-established cleaning methods? The old-fashioned broom is still a valuable part of everyday maintenance of any floor surface – natural stone included. It is very important to remove soils from flooring surfaces. Soils are abrasive. The more often soils are removed, the longer the floor will retain the original appearance. Use a broom with a bristle that matches your surface. A soft broom or brush is recommended for smooth surfaces like marble, sandstone and limestone. A medium to soft bristle is ideal for textured surface. A good vacuum cleaner works better and more efficiently on textured surface than a broom. Use a vacuum on any horizontal surface when large areas are involved, since it is, in most cases, faster than sweeping. A damp mop is capable of picking up microscopic abrasive soils and potential staining agents. Damp mopping is recommended for most smooth surfaces on a regular basis. Best done after sweeping or vacuuming. It is essential to clean a floor regularly. The working conditions will dictate its frequency. The most widespread problems encountered with stone floors are related to the floor simply not being regularly cleaned. Rinsing is one of the most critical steps in regular floor maintenance. Dirty mop water residue is common and a cause for much complaint. A two bucket rinse method is highly effective in keeping floors from graying out due to soil residues. Abrasives are sometimes useful as a cleaning agent but should be limited to non – polished surfaces. Abrasives may be combined with detergents or soaps for scouring a surface and removing thin layers from the surface. There are many different types of materials used as abrasives – soft abrasives may be composed of nutshells or feldspars, hard abrasives can be silica quartz, carbide or even diamond. Q32. What can ruin or cause damage to a stone? Spills from drinking liquids or food containing acid will etch (dull mark) marble and limestone surface. Also the wrong declaration of some group of natural stones can cause irreparable damages. The so called “black granites” which are partially basalt such as Tiger Black or Chinese G684 or Gabbro as Star Galaxy, Nero Absolute, Impala or in the case of Belgian granite, which is limestone, all of them are sensitive against acid. In such cases, lemon juice, orange juice, carbonated beverages, cranberry juice, apple juice, wine, tomato, etc. may cause a dull mark that may be of a coin size or spread over the surface. In addition to chemicals containing acid, chemicals that contain high alkaline or bleach can damage floors to lose its shine and elegance. Local water may contain chlorine, salts, magnesium, potassium and other minerals. When water is used continuously to clean the marble and limestone floor it may ruin certain type of marble or limestone by causing pitting, spalling and yellowing. This is why it is important to protect the floor with a sealer (impregnator). Sand and grit carried from outside by shoes can easily scratch and abrade the marble surface like a sandpaper. Unprotected furniture legs may leave scratches too. Dragging heavy objects or sharp items on the floor can cause very deep scratches or gouges that may be permanent. Even a hard, natural stone such as granite is still porous and can easily be discolored by spills from food, sitting pots, metal furniture legs, oil, ink, water damage, etc. Continuous use of water as the sole cleaning agent (without chemicals), or using dirty mops, or not changing the cleaning solution frequently enough, can cause soft and hard stone to look dingy, streaky and unattractive. Not having a steady use of dust mop and damp mop cause a decrease of the gloss. In addition, a yearly maintenance may be required to revive the gloss especially when the floor is exposed to medium or heavy traffic. Q33. What are the recommendations for a successful initial (basic) cleaning? 1. Soft stone such as marble, limestone (not stable against acidic cleaner). Clean with a light alkali cleaner (pH=10). Don’t start with the concentrate form. Depending on the dirtiness, start with a water dilution 1:5 to 1:25. 2. Hard stone such as granite, gneiss (stable against acidic cleaners). Clean with alkali cleaner as well as with acidic cleaner (pH=1). Because many of the hard stones such as the so-called “black granite” (Tiger Black, G684) are not stable, it is necessary to conduct a pre-treatment test with the acidic cleaner on an inconspicuous area. Do not use immediately in concentrated form and pre-wet the surface. Acidic cleaner based on hydrochloric acid react with many hard stones to cause rust. Other hard stones as Labrador lose their gloss immediately. Acidic cleaner based on acetic acid attacks the fittings. Clean with a light alkali cleaner (pH=10), algae & mildew remover, which is a slightly alkali cleaner (pH=11) based on active chlorine compounds. Use undiluted. Do not allow contact with plants, metal, wood and cloths. It is possible to clean with alkali cleaner as well as with acidic cleaner or/and algae & mildew remover. 2. Hard stone as granite, gneiss (stable against acidic cleaners. Q34. What are the recommendations for a successful daily cleaning? It is usually not necessary to clean daily unless it is a high traffic area like hotel lobby, etc. For all floors the daily cleaning should be carried out by a cleaning product with pH = 7 neutral and water-based. Clean with a neutral cleaner (pH=7) or stone soap. Surfaces are to be slightly moisted with a wiper to remove the dirt. Dilute the concentrated cleaner in water 1:50 to 1:100 and clean the surface with a slightly moistened cloth. Let the surface dry for 10 minutes. The products can also be used in a brush cleaning machine with a sucking device. It is important to prevent the product from creating layers or stripes on the floor to support the protective effect of the impregnation. The water solution of the cleaning product should be applied with a mop. Dirty solutions should be mopped up regularly. Remove loose debris by sweeping or vacuuming before applying the cleaning solution. Q35. Which are the recommendations for a successful periodical cleaning? Due to heavy traffic or other circumstances it can be necessary to carry out periodically an initial cleaning with a slightly alkaline cleaner. The application period depends on the grade of pollution; it can be carried out every 3-12 month. The product has to be diluted with water approximately 1:20 up to 1:50 depending, on the degree of pollution. The product must not affect the impregnation of the stone. The cleaning solution should be applied with a mop. Dirty solution should be mopped up regularly. Rust remover for granite or for marble, Oil- and Grease Remover, Algae- and Mildew Remover etc. Also, bleaches are typically oxidizing agents (they generate oxygen) and are useful in stain removal. 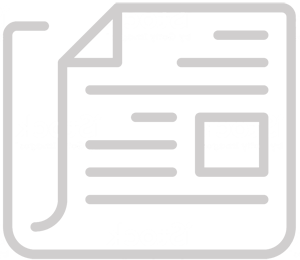 Enzyme types are available which are non – hazardous. Q36. How to protect natural stones used for highly strained surfaces as such as kitchentop, table top, bar counter etc.? The surface of the natural stone has to be clean, stain free, dry and with enough absorption properties. Nowadays most of the natural stones are already treated in the factory. As a result, the stones show altered absorption properties. Therefore it is recommended to use an oil- and water-repellent, solvent-based impregnation. In any case is recommended to prepare a sample area in order to examine the efficiency of the impregnation. Due to the permanent contact of impregnation with foods, is essential that the protection is approved as being of food-safe quality. Q37. How to clean and care natural stones used for highly strained surfaces as kitchen tops, table tops, bar counter etc.? If cleaned immediately, many food stains can be taken care of with a simple damp cloth. Once dried up or involving fat, stains and soiling can no longer be cleaned so easily. For such residues, mild cleaning products with oil- and fat-solvent qualities should be used. Products that are extremely alkaline or highly degreasing can, over the long-term, damage the stone’s impregnation. Many manufacturers offer spray cleaners that are easily applied. They have a cleaning and protecting component and therefore provide a removal of stains and protection of the stone in one single working step. If used regularly, the spray cleaners can prolong the interval time between subsequent impregnations. At the first sight of dark stains caused by oil- and fat-containing food, an immediate reaction is essential. Among the most effective solutions are oil removal pastes. These cleaning products guarantee a long application time, an essential factor if pollutions need to be dissolved that are deep-seated within capillary structures of the stone. After the removal of stains the protective impregnation needs to be renewed. Q38. How to remove stains from the surface of natural stone? Remove with a light alkaline cleaner (pH=10). 2.Hard stone such as granite, gneiss (stable against acidic cleaners). If there is rust and inorganic discoloration: to remove inorganic discolorations, such as rust stains, use Rust remover, a product based on phosphoric acid. It is important to make a test patch in an inconspicuous area to ensure that the surface is acid resistant. They can be removed with an acid-based concrete film remover, which is free of hydrochloric acid. Q39. What are the main mistakes in maintenance? Q40. Are they some tips to avoid mistakes during maintenance? To reduce the possibility of unsightly scratches and/or dulling of the marble or limestone floor, install walk off mats inside and outside all entry doorways. Good quality walk-off mats will remove sand and grit from the bottom of a person’s shoe that could otherwise badly scratch and dull the marble floor. Walk-off mats will reduce the amount of abrasive soils that can enter from shoes, however, they cannot completely eliminate all materials that can scratch or dull a stone surface. Many abrasive soils are generated inside the house like very small pieces of broken glass or porcelain, metal chips or flakes, or sand and dirt brought in/on clothing or other materials. Dust mopping and sweeping will help remove these abrasive contaminants. Use a clean, untreated and dry dust mop or fine bristle broom and dust pan to remove all dust, dirt and loose debris daily or as needed. This is the most important thing you can do to keep the stone surface looking new. Utilizing a neutral non – residual water based stone cleaner or a slightly alkali cleaner, damp mop regularly. Spot cleaning can be accomplished by simply applying a small amount of this neutral cleaner to a soiled spot, lightly rubbing to dissolve the spot and remove with a clean damp sponge. This can be very detrimental to your soft stone. Water contains chlorine, salts and other minerals that will diminish the shine if used on a regular basis. In addition, water doesn’t have the ability to cut through dirt and mainly dust will be removed. Utilize neutral, non-residual water based stone cleaner, damp mop regularly. Spot cleaning can be accomplished by simply applying a small amount of this neutral cleaner to a soiled spot, lightly rubbing to dissolve the spot and removing with a clean damp sponge. Otherwise, it will leave streaks all over the stone surface and the grout joints (especially if they are light colour) will get dirty very rapidly. Whenever you notice that the cleaning solution becomes cloudy and dirty, immediately replace it with a fresh new solution. By using mop or cloths that are soiled and dirty, you are actually tracking the dirt back into the floor and grout joints. Dirty mops can create streaks and an unattractive look. Keep the cloth or mop head clean all the time. Wash them thoroughly after you have finished the cleaning with neutral soap and warm water. In case you use the wrong cleaning chemical you can ruin your stone floor very easily. Especially soft stones made from calcium carbonate are very sensitive to any acid or high alkaline chemicals. Do not use any tile cleaners, vinegar, ammonia, alcohol etc. Use only neutral cleaners that have pH 7.00 or slightly higher and were made specially for cleaning stone. In this way you prolong the stone life. Designate the cleaning days and polishing dates and the days that you want to re-apply the protection depending on the abuse and foot traffic. Doing that will keep the floor well maintained. Videos and Presentations will be made available soon. Esta Guía ha sido preparada pensando en usted, en un intento de responder a sus preguntas más frecuentes sobre la piedra natural. Esta Guía no pretende dar respuesta todas las preguntas que usted pueda tener, pero sí tiene como objetivo abordar la mayor parte de las que se han hecho a los profesionales de la industria a lo largo de los años. Esperamos que esta Guía le aliente a explorar este fascinante mundo y que se convierta en un apasionado de la piedra natural, como lo somos nosotros, y que la utilice para implementar sus ideas. 1. ¿Por qué debería utilizar piedra natural? 2. ¿Puede mi cliente permitirse comprar piedra natural? 3. ¿Cómo puedo encontrar la piedra natural adecuada para mi proyecto? 4. ¿Qué tipo de piedras naturales son adecuadas para mi clima? 5. ¿Qué gama de colores existe dentro de la piedra natural? 6. ¿Cuál es el origen geográfico de las piedras naturales? 7. ¿Qué diferencia hay entre granito, mármol, caliza, arenisca y pizarra? - La pizarra es una roca metamórfica homogénea foliada de grano fino, derivada de la roca sedimentaria original tipo esquisto, compuesta de yeso o ceniza volcánica mediante un metamorfismo regional de grado bajo. 8. ¿Existe un catálogo que muestre todas las piedras naturales que existen? 9. ¿Por qué no podemos tener todos los tipos de piedra natural que se muestran en los catálogos? ¿Cómo puedo estar seguro de que finalmente tendré la piedra que he elegido? 10. ¿Es mi muestra de piedra precisa y descriptiva de la piedra? 11. ¿Cuáles son los diferentes acabados que existen para la piedra natural? 12. ¿Cuáles son los tamaños recomendados en la piedra natural? 13. ¿Cuáles son las propiedades físicas generales de la piedra natural que hay que tener en consideración? 14. ¿Qué tiene que ver la porosidad con la absorción de agua de la piedra? 15. ¿Cuál es el tiempo de vida de la piedra natural? 16. ¿Cómo se puede comparar la piedra natural con otros materiales alternativos en términos de sostenibilidad? 17. ¿Cuál debería ser la estructura del edificio para que se utilice piedra natural en la fachada? 18. ¿Cuál es el grosor adecuado cuando empleamos piedra natural? 19. ¿Existe información disponible sobre fijación de piedra natural en fachadas? 20. ¿Se puede instalar piedra natural sobre un pavimento ya existente o en un solado seco con adhesivos? 21. ¿Puedo instalar piedra natural en mi terraza con barbacoa? 22. ¿Es complicada la instalación de baldosas de piedra natural? 23. ¿Hay algún buen método para pulir piedra natural después de instalar las baldosas para que las juntas queden niveladas? 24. ¿Qué tipo de mantenimiento se necesita para piedras ya instaladas? 25. ¿Cómo se pueden mejorar las propiedades naturales de la piedra mediante el uso de productos químicos? 26. ¿Cómo puedo proteger, sellar o impregnar la caliza para evitar las manchas? 27. ¿Es cierto que resulta más difícil limpiar una baldosa de piedra natural pulida que una de cerámica? 28. ¿Cuáles son las normativas técnicas para el uso de piedra en exteriores? 29. ¿Es radiactiva la piedra natural? 30. ¿Qué pasos hay que seguir para evitar problemas a la hora de instalar piedra o cuando la instalación se hace en edificios viejos? 31. La piedra natural instalada está perdiendo pulido. ¿Qué debe hacerse? 32. Hay agujeros en la piedra instalada. ¿Cómo solucionar este problema? En climas muy fríos y lluviosos, evitar los acabados pulido y apomazado en suelos de exteriores, ya que pueden crear problemas de deslizamiento. Es mejor utilizar el flameado, abujardado o algún otro acabado áspero. Es recomendable aplicar un acabado antideslizamiento a la piedra. Para evitar deslizamientos en la piedra instalada en un edificio, debería instalarse en las escaleras bandas antideslizantes de dos componentes epoxi que contengan corindón. En las zonas de entrada, aplicar agentes antideslizantes que permitan la rugosidad de las zonas pulidas. Para evitar eflorescencias y manchas de humedad y salitre en la piedra instalada, hay que proteger la piedra en su cara posterior y en los costados con un recubrimiento especial resistente a los alcalinos junto con arena de sílice. Si se va a hacer una fachada externa de piedra blanda (caliza blanda, por ejemplo) en un clima frío, hay que tener cuidado de seguir los criterios correctos. Cuando se decide el tamaño de las piezas de piedra natural para revestimientos o escaleras, hay que tener en cuenta también si resultará difícil su transporte, manipulado y montaje de las piezas. A la hora de elegir piedra natural para encimeras, no basta con considerar sólo los criterios visuales y estéticos, también hay que tener en cuenta las propiedades físicas. En líneas generales, las calizas y los mármoles no deben utilizarse como encimeras de cocina, porque no son resistentes a los ácidos. Para protegerlas frente a manchas de aceite y grasa debe aplicarse un impregnante especial. Para encimeras es mejor utilizar acabados suaves y evitar los rugosos, que son más difíciles de limpiar. Las fuentes a menudo están hechas de cemento y rematadas con elementos de piedra. Muchas veces las juntas se afean en poco tiempo debido al efecto de la penetración del agua. Este problema se puede evitar usando elementos sólidos y bien dimensionados reduciendo así el número de juntas al menor posible. También es recomendable que el montaje de las piezas de piedra en la fuente se haga con adhesivo epoxy de dos componentes y que las juntas se rellenen con este mismo tipo de adhesivo; de esta manera, no aparecerán eflorescencias en el cemento. Cuando se usa un sistema de calefacción bajo el suelo, algunas piedras que ya están rellenadas (travertinos, por ejemplo) pueden perder este relleno debido al calor. Esto no es un defecto. Si la calefacción funciona con agua, dejar correr el agua antes de instalar la piedra para que el cemento se estabilice, así se reduce mucho el riesgo de rotura de la piedra. Algunas piedras necesitan ser tratadas con resina en su superficie frontal o reforzadas por la parte de atrás. De esta manera las piedras se vuelven más estables, y así podemos disfrutar de la enorme variedad disponible de piedras naturales. Stone is a nobel material. Man has preserved it in his victories and his laws, his religion and his art. Since the distant origins, man has used it to protect himself. He has made stone his partner, because it is solid and he can trust it. Este Guia foi preparado com você em mente, na tentativa de responder suas perguntas mais comuns sobre pedra natural. Este guia não se destina a responder todas as perguntas que você possa ter. Seu objetivo é abordar muitas das questões que ele tem perguntado às pessoas da indústria ao longo dos anos. Espero que ele seja encorajado a explorar o fascinante mundo da Pedra Natural, ele se tornará tão desagradável com a pedra natural quanto nós e usaremos pedra natural para implementar suas idéias. 1. Por que eu deveria usar pedra natural? A pedra é um produto natural. Respeita o meio ambiente, não o destrói. Comprovou sua validade como um produto de construção pelo seu uso ao longo de séculos, provando sua resistência e durabilidade. É fácil de usar, limpar e de obter. Pedras naturais contêm beleza, história, cultura, e, na mente dos povos de todas as culturas do mundo, está intrinsicamente associada a luxo, qualidade e permanência. 2. Os meus clientes podem pagar por pedras naturais? Muito provavelmente, sim, pois há pedras naturais que são muito baratas, e até mesmo clientes com os orçamentos mais limitados geralmente se surpreendem ao descobrir como as pedras naturais são realmente acessíveis. Para cada projeto, pode-se achar uma pedra natural que atenda às suas preferências, e caiba no seu orçamento. Quando comparamos seu ciclo de vida e preço com outras alternativas, as pedras naturais são certamente acessíveis. Contudo, também há pedras no mercado que são realmente exclusivas e de altíssima qualidade, e, como qualquer produto de luxo, tem um preço altíssimo. 3. Como posso encontrar a pedra natural adequada para o meu projeto? Primeiro, você deve se perguntar o seguinte: em qual clima a pedra natural será usada, e para qual aplicação? O clima do local é extremo, muito frio ou muito quente, é moderado, ou é úmido, ou é uma combinação de vários climas? É um revestimento de parede ou um piso? Baseado na resposta das perguntas acima, você deve buscar pedras naturais com base nas propriedades físicas e químicas e nas normas locais. 4. Que tipos de pedra natural são adequados para o meu clima? O importante é saber a aplicação da pedra natural — ela será usada do lado de fora ou do lado de dentro? Será usada para um revestimento de parede interna, ou a aplicação será para um piso de alto tráfego? Ou a aplicação será um balcão de cozinha ou no banheiro, ou para uso em degraus ou peitoris de janelas? A análise das propriedades físicas e químicas da pedra natural vai lhe orientar até a melhor escolha. 5. Qual é a variedade de cores existentes nas pedras naturais? Infinita! Do puro branco ao preto mais escuro, e com um espectro deslumbrante entre eles. A mais variada gama de cores e suas diferentes combinações existentes na natureza. 6. Qual é a origem geográfica das pedras naturais? Em praticamente todos os países do mundo, extraem-se pedras naturais de alguma maneira, pois esse único e maravilhoso produto natural é o resultado de formações geológicas, o processo das quais começou no estágio inicial de formação do nosso planeta, centenas de milhões de anos atrás. 7. Qual é a diferença entre granito, mármore, calcário, arenito e ardósia? A diferença entre diferentes tipos de pedras naturais começa já na origem da sua criação. - O granito é uma rocha ígnea sólida formada por magma com pelo menos 20% de quartzo no seu volume. - O mármore é uma rocha metamórfica não foliada composta de minerais de carbonato recristalizados, mais comumente calcita ou dolomita. O mármore, em outras palavras, é um calcário metamorfoseado. - O calcário é uma rocha metamórfica não foliada composta de minerais de carbonato recristalizados, mais comumente calcita ou dolomita. - O arenito é uma rocha sedimentária composta principalmente de minerais do tamanho de grãos de areia ou grãos de rocha. - A ardósia é uma rocha metamórfica homogênea foliada e de fina granulação, derivada da rocha sedimentária original do tipo xisto, composta de argila ou cinza vulcânica, por meio de metamorfismo regional de baixo grau. Cada uma das diferentes variedades tem suas próprias características e aparência, e determinam sua adequação para as diferentes aplicações que se pode exigir. 8. Há um catálogo que mostre todas as pedras naturais existentes? Há milhares de variedades de diferentes tipos de pedras, e novas variedades estão constantemente surgindo no mercado com resultado da extração em novas áreas de países diferentes. Os catálogos e as páginas da web de diferentes países ou associações, empresas individuais, etc. mostram as pedras extraídas, ou processadas e comercializadas por eles, e, por isso, por definição, são apenas um banco de dados parcial. Também é uma boa ideia verificar se a pedra de sua escolha ainda está sendo extraída. Por ser um produto único e insubstituível da natureza, talvez os depósitos da pedra em questão nem existam mais! 9. Por que não podemos ter todos os tipos diferentes de pedras naturais disponíveis mostrados em um catálogo? Com posso garantir que finalmente consegui a pedra natural que escolhi? O catálogo é apenas o primeiro passo no processo de escolha de uma pedra natural de sua exigência. Após analisar os catálogos, você deve pedir uma amostra real da pedra natural. No caso de selecionar uma pedra natural para um projeto de grandes dimensões, você pode seguir uma série de procedimentos adicionais. Depois de obter uma pequena amostra, você pode então pedir que o seu fornecedor lhe mostre uma pequena variedade daquela pedra natural específica inicialmente, de forma que você fique, assim, mais bem informado quanto às variações que pode esperar. Obter as características técnicas da pedra natural, então, é importante. Pode-se pedir amostras de maior tamanho para se ter uma ideia melhor de como ficará a aparência do projeto final. Se for possível, em alguns casos, uma visita às pedreiras e fábricas pode ser útil e informativa. Geralmente, faz-se um modelo de tamanho real na fonte ou no local do trabalho. E, finalmente, pode ser necessário fazer o controle de qualidade e inspeção no local do trabalho. Esses procedimentos são geralmente ajustados de acordo com o tamanho do projeto e o país. 10. A minha amostra de pedra é uma representação fidedigna da pedra? As amostras servem apenas como uma indicação da característica física da pedra. Por ser um produto natural, não se pode garantir, naturalmente, uma semelhança absoluta. Pode haver variação de cores e padrões. Tente ver uma placa grande ou muitas placas da pedra, se possível — isso lhe dará uma ideia muito melhor do que esperar. As tecnologias modernas deixam o seu trabalho muito mais simples — as imagens de alta qualidade que podem ser vistas em tablets e smartphones podem lhe dar uma ideia muito boa do que esperar. 11. Quais são os diferentes acabamentos que existem para pedras naturais? Há uma ampla variedade de acabamentos, todos eles ajudam a destacar a beleza da pedra natural e servem a certos propósitos de uso. Alguns dos acabamentos são: polido, amaciado, serrado, acabamento serrado com disco de diamante, bujardado, flamejado, envelhecido, escovado, com efeito de seda (com ou sem brilho), acabamento de couro, antigo, acabamento escacilhado, etc. As propriedades de cada pedra definem que acabamentos podem ser aplicados e que mudanças ocorrem à aparência estética do material. 12. Quais são os diferentes tipos recomendados para pedras naturais? Depende da aplicação específica da pedra. Mosaicos estão disponíveis no Mercado em tamanhos tão pequenos quanto 1 cm x 1 cm. E também há ladrilhos de pedra de 1,20 m x 1 m, e até maiores, às vezes. Os tamanhos mais amplamente usados, no entanto, são 60 x 30 cm, 60 x 60 cm, 120 x 60 cm. O arquiteto pode definir o tamanho do projeto. Os tamanhos recomendados pelos fabricantes baseiam-se não apenas em critérios estéticos, mas também levam em conta o tamanho dos blocos extraídos das pedreiras e a optimização dos sistemas de produção nas fábricas, para atingir um desperdício mínimo. 13. Quais são as propriedades físicas gerais das pedras naturais que devem ser levadas em consideração? Para aplicações externas, os testes estão se tornando cada vez mais importante, principalmente em climas úmidos. Em países quentes, certas pedras se alteram, e a aparência física pode mudar. 14. O que a porosidade tem a ver com a absorção de água pela pedra? A porosidade está relacionada à absorção de água e densidade da pedra. Quanto maior for a porosidade, maior é o fenômeno de absorção de água. Dependendo da aplicação, pode-se consultar uma escala de porosidade. 15. Qual é a vida útil da pedra natural? Eterna. Qual é a vida útil das pirâmides (e elas existem por 4 mil anos)? Ou daquelas catedrais, templos, mesquitas, palácios e imponentes prédios oficiais sobre cuja existência aprendemos quando éramos bem jovens e ainda existem quando já estamos no fim de nossas vidas? Em alguns lugares, prédios com milhares de anos foram destruídos e as pedras recicladas usadas em novos prédios. Nos nossos prédios modernos, todavia, o ciclo de vida da pedra natural é geralmente considerado em cerca de 80 anos. 16. Como a pedra natural se compara a outras alternativas em termos de sustentabilidade? A sustentabilidade da pedra natural é mais bem compreendida no contexto de se pensar em um ciclo de vida. O impacto no meio ambiente é baixo, o que faz da pedra natural o revestimento de piso rígido ideal quando o pensamento ambiental e a sustentabilidade são os critérios. (para mais informações, consulte o estudo feito na Alemanha sobre revestimento de piso rígido no endereço www.wonasa.com). 17. Qual deve ser a estrutura do prédio para que a pedra natural seja usada no revestimento da parede externa? A principal condição é que a estrutura do prédio seja sólida o suficiente para suportar o peso da pedra, e, por isso, deve ser projetada de maneira adequada. A pedra pode ser fixada a qualquer estrutura utilizando-se tecnologia de montagem adequada que é determinada pelas características da construção. 18. Qual é a espessura apropriada quando se usa pedra natural? A espessura geralmente está sujeita às normas locais, que podem variar de um país para outro. Um aspecto importante a ser considerado é a resistência da pedra à força a que será submetida, em outras palavras, depende da aplicação. De maneira geral, em calçadas usando granito, por exemplo, caso caminhões passem por cima dela, usa-se pedras com mais de 6 cm de espessura, dependendo da elasticidade da pedra. 1 cm pode ser suficiente para revestimento de paredes. Para balcões de cozinha, pedras de 2 cm podem ser usadas, embora pedras de espessura de 3 e, em alguns países, até de 4 cm também possam ser usadas por razões estéticas. Portanto, dependendo da aplicação e das propriedades, a espessura pode variar de 1 cm a 20 cm. 19. Há alguma informação disponível para a fixação de pedra natural em revestimento de paredes? Há muitas organizações oficiais e não oficiais que elaboraram manuais que definem os critérios e especificações no caso de revestimento de paredes e pisos. Os diferentes fabricantes de sistemas de ancoragem também devem ser capazes de lhe dar informações completas sobre as tecnologias existentes. 20. Posso instalar uma pedra natural sobre um piso existente/sobre uma betonilha seca com adesivos? O importante é que não haja qualquer pressão que possa levar à deformação da pedra fixada e que toda a estrutura permaneça durável. Em outras palavras, a superfícies na qual a pedra natural será instalada deve ser plana, sólida, estável e durável. Há muitos adesivos adequados para este tipo de montagem de piso. 21. Posso instalar uma pedra natural no meu terraço do churrasco? Sim. Apenas certifique-se de que a pedra que você usar é de alta densidade, baixa absorção; isso significa que o piso permanecerá limpo por muito, muito tempo. 22. A instalação de ladrilhos de pedra natural é complicada? A instalação de pedra natural é feita da melhor maneira e é fácil quando é feita por profissionais. Uma ótima pedra instalada de maneira errada pode acabar ficando com uma péssima aparência. Se possível, peça ao instalador da pedra que lhe mostre seus trabalhos de instalação anteriores. O principal a se levar em conta é a escolha da pedra certa para a aplicação certa. 23. Há algum método bom para polir pedras naturais depois de instalar os ladrilhos para fazer as juntas parecerem niveladas? 24. Como posso evitar o problema de manchas/eflorescência resultante de umidade e saída de sais após a instalação das pedras? A pedra deve ser tratada na sua parte posterior e nas laterais com uma camada especial resistente à alcalinidade em conjunto com areia de sílica. 25. Que tipo de manutenção é necessária para pedras já instaladas? Em geral, a pedra natural é um material de construção que precisa de muito pouca manutenção, caso se tome um pouco de cuidado no seu tratamento (dependendo da pedra). Depois da instalação, um processo básico de limpeza é necessário para remover a sujeira relacionada à construção e instalação. Para limpeza diária, pode-se geralmente usar água; Também se recomenda que, de tempos em tempos, sejam usados produtos especiais de limpeza diária de fabricantes confiáveis de produtos químicos para pedras. 26. Como se pode melhorar as propriedades naturais da pedra natural através d uso de produtos químicos? Se o problema for que a pedra está se quebrando, há resinas que ajudam a unir a pedra. Se o problema for de oxidação, então o óxido tem que ser removido primeiro e, em seguida, a superfície deve ser protegida com resinas específicas para deixá-la impermeável. Onde a pedra está instalada? Caso seja em uma parede, talvez um líquido à prova d’água seja necessário a cada cinco anos. Ou talvez um anti-pichação. Em trabalhos de restauro, as pedras podem ser melhoradas, pode-se protege-las contra agentes externos. Os produtos químicos ajudam a realçar a beleza natural da pedra. 27. Como posso proteger/vedar/impregnar meu calcário para evitar manchas? Dependendo da pedra, é aconselhável usar selantes que não alterem a cor, ou que realcem a cor. Os selantes penetram na superfície da rocha, mas não formam uma camada de cobertura. Os selantes permitem que a pedra mantenha sua transpirabilidade, mas, ao mesmo tempo, protegem contra a fácil penetração de substâncias sujas (óleo, água, poeira, etc.). 28. É verdade que pedras naturais polidas são muitos difíceis de se manter limpas comparadas com ladrilhos de cerâmica? Não exatamente, especialmente no caso do granito. No caso de certos mármores e calcários, é importante seguir as diretrizes corretas para a manutenção. 29. Quais são as normas técnicas para pedras usadas em áreas externas? Há normas diferentes em lugares diferentes. Nos EUA, por exemplo, as normas da ASTM (Sociedade Americana de Testes e Materiais) são seguidas; na maior parte da Europa, as normas do EN (Comitê Europeu pra Normatização) são o padrão. No Reino Unido, prevalece a norma BSI (Instituição de Normas Britânicas). 30. As pedras naturais são radioativas? 31. Que passos devo seguir para evitar problemas quando estiver fixando pedras ou fazendo isso em prédios antigos? Ao seguir normas e diretrizes existentes estabelecidas, você provavelmente não terá problemas. Como será instalada a pedra? Há uma pedra apropriada para cada local e aplicação. 32. A pedra natural instalada está perdendo polimento. O que deve ser feito? Se a pedra estiver macia, você pode preenchê-la com uma resina líquida que a fortaleça. Se a pedra tem arranhões no piso, mas você não quer polir todo o piso, então, use produtos que, embora não removam os arranhões, acabam dando a impressão de que os arranhões não estão mais lá. Alternativamente, no caso de um piso grande, você pode precisar esmerilhar e polir novamente. 33. Há buracos na pedra instalada. Como resolvo esse problema? Buracos podem ser preenchidos com preenchimentos transparentes e coloridos. Dependendo do tamanho e da quantidade dos buracos, um reparo localizado com um preenchimento UV ou um tratamento de toda a superfície pode às vezes ser necessário. Em climas muito frios e chuvosos, para uso externo, evite usar acabamentos polidos ou muito amaciados em pisos de pedra natural, já que causarão problemas de piso escorregadio. É melhor usar acabamentos flamejados, bujardados ou qualquer acabamento áspero. Recomenda-se aplicar um acabamento antiderrapante à pedra. Para evitar escorregamento na pedra instalada dentro de um prédio, deve-se colocar, nas escadas, faixas antiderrapantes feita epóxi de 2 componentes contendo corindo. Nas áreas de entrada, agentes antiderrapantes permitem deixar as superfícies polidas mais ásperas. Para evitar manchas de eflorescência/sais/umidade na pedra instalada, deve-se proteger a pedra na parte posterior e nas laterais com uma camada especial resistente à alcalinidade em conjunto com areia de sílica. Quando estiver fazendo revestimento exterior feito de pedra natural macia (como calcário macio, por exemplo) em um clima frio, deve-se ter cuidado para seguir os critérios corretos. Ao se decidir sobre os tamanhos das peças de pedra natural para revestimento ou escadarias, considere também se pode haver dificuldade de transporte, manuseio e montagem das peças. Quando for escolher pedra natural para o topo de balcões, não basta considerar apenas os aspectos visuais e estéticos. Deve-se considerar também as propriedades físicas. Não se deve, em geral, usar calcário e mármore como balcões de cozinha, pois não são resistentes a ácidos. Para proteger contra manchas de óleo e gordura, deve-se usar um selante especial. Para balcões, use acabamentos suaves, evitando acabamentos ásperos que sejam mais difíceis de limpar. Fontes são geralmente feitas de concreto e, depois, recebem um acabamento com elementos em pedra. Geralmente, as juntas ficam com uma aparência ruim depois de pouco tempo, devido ao efeito de penetração da água. Esse problema pode ser evitado usando-se elementos sólidos e bem dimensionados, eliminando as juntas a um número mínimo. Alternativamente, recomenda-se unir o revestimento em pedra em uma fonte com adesivos de epóxi de 2 componentes, e também preencher a junta com adesivos de epóxi de 2 componentes. Nesse caso, não aparecerá nenhuma eflorescência vinda do cimento. Quando estiver usando aquecimento de piso radiante, algumas pedras (como o travertino, por exemplo), que são preenchidas, o preenchimento pode aparecer devido ao calor. Isso não é um defeito. Especialmente se o aquecimento for feito com água, acione-o antes de instalar o ladrilho de pedra, de forma que o concreto assente; assim, reduz-se altamente o risco de rachadura na pedra. Algumas pedras precisam receber uma camada de resina na parte frontal, ou reforçada na parte traseira. Assim, essas pedras ficam mais estáveis, e podemos desfrutar de uma gama mais ampla do que está disponível na natureza. Stone is a nobel material. Man has prpoerved it in his victoripo and his laws, his religion and his art. Since the distant origins, man has used it to protect himself. He has made stone his partner, because it is solid and he can trust it. Kamień naturalny jest materiałem szlachetnym. Człowiek od wieków dbał o niego, chronił prawem, wyrażał jego piękno w religii i sztuce. Już dawno temu uczynił go swoim partnerem, bo dzięki swojej wytrzymałości kamień mógł go chronić. Można było na nim polegać. Odkąd człowiek nauczył się rzeźbić w kamieniu, rozpoczęła się długa i pasjonująca przygoda poznawania jego struktury, rozwijająca zmysł dotyku. Szczęśliwym trafem zachowały się w nim naturalne skarby tj. fragmenty roślin, muszli czy skamieniałości. Podobnie jak istoty żywe, kamień cechuje różnorodność form i rodzajów. Są wśród nich wyjątkowe okazy, które działają na wyobraźnię. Błyszczące i jasne jak sklepienie niebieskie, lub ciemne i tajemnicze jak głębia jeziora. Pośród wielu materiałów znajdujących się w otoczeniu człowieka, kamień zajmował uprzywilejowane miejsce. Podobnie jak skóra, kamień posiada charakterystyczne dla siebie uziarnienie, użylenie, strukturę powierzchni. Jego kolor może być ciepły jak krew lub świeży jak woda. Może pochłaniać światło, lub odbijać je jak lustro. Kamień zapewnia przyjemną atmosferę, doskonale komponuje się ze wszystkim, co nowe, pozwalając na żywy kontakt z otaczającymi nas przedmiotami. Człowiek budując lub remontując dom, w którym zamieszka, musi brać pod uwagę materiał, z którego go stworzy. Musi na nim polegać i nie zapominać, że dom powinien mieć duszę, oddawać nasz charakter. Kamień naturalny nie jest droższy niż inne materiały. Jest bogactwem naturalnym. Drogie rzeczy nierzadko nas rażą, odczłowieczają. Piękne z kolei, takie jak kamień, dają nam odrobinę szczęścia na co dzień. Praca z kamieniem naturalnym jest naszą profesją. Czynimy to z pasją, bo kamień można pokochać, dlatego z wielką dumą prezentujemy go Państwu. Ten Przewodnik został stworzony z Państwa pomocą. Próbujemy odpowiedzieć w nim na najczęściej zadawane pytania na temat kamienia naturalnego. Zapewniamy, że dołożyliśmy wszelkich starań, aby uczynić go zwięzłym i rzeczowym. Zadaniem Przewodnika nie jest udzielenie odpowiedzi na wszystkie nurtujące pytania czy rozwianie wątpliwości dotyczących tego produktu, ale przedstawienie listy pytań, które od lat zadają Państwo specjalistom z branży kamienia naturalnego. Mamy nadzieję, że pozycja ta zachęci Państwa do odkrywania dalszej fascynacji światem kamienia naturalnego, i że podobnie jak my, zachwycą się Państwo jego pięknem, co pozwoli na wprowadzenie tego produktu do przyszłych projektów. 1. Dlaczego powinienem zastosować kamień naturalny? Kamień jest produktem naturalnym. W żaden sposób nie szkodzi środowisku, nie powoduje jego niszczenia. Na przestrzeni wieków wielokrotnie potwierdził swoje walory budowlane jako odporny i trwały materiał. Jest prosty w użyciu, czysty i łatwy do uzyskania. Kamień naturalny zawiera w sobie piękno, historię, kulturę, a w świadomości wielu ludzi na świecie, jawi się jako produkt luksusowy, o wysokiej jakości i trwałości. 2. Czy mój klient może sobie pozwolić na zakup kamienia naturalnego? Prawdopodobnie tak, ponieważ wiele kamieni można kupić po bardzo przystępnej cenie. Często zdarza się, że nawet klient o ograniczonym budżecie dziwi się, że kamień może być tak dostępnym produktem. Do każdego projektu można dobrać taki, który spełnia oczekiwania i mieści się w granicach wyznaczonego budżetu. Porównując trwałość kamienia do jego ceny okazuje się, że klient może sobie na niego pozwolić. Jednakże, można również spotkać na rynku bardzo ekskluzywne kamienie, które podobnie jak inne towary luksusowe, osiągają bardzo wysoką cenę. 3. Jak mogę znaleźć odpowiedni kamień do mojego projektu? Zanim zdecydujemy się na zastosowanie wybranego kamienia, musimy sobie zadać pytanie w jakim klimacie zostanie on wykorzystany i do jakich celów. Czy występują tam ekstremalne temperatury, czy jest bardzo gorąco, czy bardzo zimno, czy klimat jest umiarkowany, czy o dużej wilgotności, a może wszystkiego po trochę? Czy kamień, którego szukasz będzie użyty wewnątrz budynku, czy na zewnątrz? Czy ma być położony na ścianie, czy podłodze? Na podstawie odpowiedzi na wszystkie te pytania, powinniśmy szukać kamienia o odpowiednich parametrach fizyko-chemicznych oraz w oparciu o lokalne standardy. 4. Jaki rodzaj kamienia naturalnego jest odpowiedni dla mojego klimatu? Najważniejsze, by wiedzieć, gdzie dany kamień ma być użyty; na zewnątrz czy wewnątrz budynku. Czy będzie on zastosowany na wewnętrzne okładziny ścienne, czy też posadzki w miejscach o dużym natężeniu ruchu. A może na blat kuchenny lub łazienkowy, albo schody lub parapety. Analiza właściwości fizycznych i chemicznych kamienia naturalnego pozwoli na dokonanie właściwego wyboru. 5. Jaki jest zakres kolorów kamieni naturalnych? Nieograniczony! Od czystej bieli do najciemniejszej czerni, z olśniewającym spektrum kolorów pomiędzy nimi. Największy wybór kolorów i ich różnych kombinacji, jakie występują w przyrodzie. 6. Jakie jest pochodzenie geograficzne kamieni naturalnych? Niemal we wszystkich krajach świata, kamień naturalny jest wydobywany w określony sposób, ponieważ ten wyjątkowy, wspaniały produkt naturalny jest wynikiem formacji geologicznej, procesu, który rozpoczął się w początkowej fazie powstawania naszej planety, setki milionów lat temu. 7. Jaka jest różnica pomiędzy granitem, wapieniem, marmurem, piaskowcem, łupkiem? Różnica pomiędzy różnymi rodzajami kamienia naturalnego rozpoczyna się od początku jego powstania. - Granit jest bardzo wytrzymałą skałą uformowaną przez magmę, z co najmniej 20% zawartością kwarcu. - Wapień to skała powstająca wskutek rekrystalizacji minerałów węglanowych, głównie popularnego kalcytu lub dolomitu. - Marmur to skała metamorficzna powstająca wskutek rekrystalizacji minerałów węglanowych, głównie popularnego kalcytu lub dolomitu. Innymi słowy, marmur jest przeobrażonym wapieniem. - Piaskowiec to skała osadowa składająca się głównie z minerałów wielkości ziarna piasku lub z ziarna skały. - Łupek jest drobnoziarnistą, warstwową, jednorodną skałą metamorficzną, pochodzącą ze skał osadowych typu łupkowego, składającą się z gliny lub popiołu wulkanicznego. Każda z odmian ma swoje właściwości i wygląd, które określają ich przydatność do różnych zastosowań. 8. Czy istnieje katalog, który prezentuje wszystkie istniejące naturalne kamienie? Istnieją tysiące odmian różnych rodzajów kamieni. Na rynku co rusz pojawiają się nowe odmiany w wyniku eksploatacji nowych złóż w poszczególnych krajach. Firmy i stowarzyszenia z różnych stron świata prezentują na swych stronach internetowych i w katalogach kamienie, przez nie wydobywane, przetwarzane i sprzedawane. A zatem, są tylko częściowe bazy danych. Dobrym pomysłem jest również sprawdzenie, czy kamień, który wybrałeś jest nadal wydobywany. Może się zdarzyć, że złoża wyjątkowego i niepowtarzalnego produktu natury już nie istnieją! 9. Dlaczego nie możemy mieć wszystkich rodzajów kamieni naturalnych, które są zaprezentowane w katalogach? Jak mogę się upewnić, że zdobędę kamień, który wybrałem? Katalog to zaledwie pierwszy krok w procesie wyboru kamienia naturalnego. Po przeanalizowaniu katalogu należy poprosić o rzeczywiste próbki kamienia naturalnego. W przypadku wyboru kamienia naturalnego do dużego projektu, należy przestrzegać dalszego szeregu procedur. Po otrzymaniu małej próbki, można poprosić dostawcę o zaprezentowanie kolejnych próbek danej odmiany kamienia, abyśmy mieli świadomość jego różnorodności kolorystycznej. Ważne jest uzyskanie właściwości technicznych kamienia naturalnego. Możemy też poprosić o próbki w większym rozmiarze, aby uzyskać lepsze wyobrażenie, jak będzie wyglądał projekt po jego realizacji. Jeśli to możliwe, w niektórych przypadkach, przydatna i niezwykle pouczająca może się okazać wizyta w kamieniołomach i zakładach produkcyjnych. Często zdarza się, że w miejscu, w którym projekt będzie wykonywany przygotowywana jest makieta. I wreszcie, może być potrzebna kontrola jakości w miejscu produkcji materiału do projektu. Procedury te są często dostosowane do wielkości projektu i kraju. 10. Czy moja próbka jest dokładnym odzwierciedleniem kamienia? Próbki to zaledwie ogólny wskaźnik właściwości fizycznych kamienia. Nie można zagwarantować pełnego podobieństwa tego naturalnego produktu. Mogą wystąpić różnice w kolorystyce i użyleniu. Prezentacja próbki o większym rozmiarze lub całych płyt z danego rodzaju daje pełniejsze wyobrażenie efektu. Nowoczesna technologia w postaci smartfonów i tabletów może znacznie uprościć nam pracę. 11. Jakie istnieją formy wykończenia kamienia naturalnego? Istnieje szeroka gama wykończeń. Każde z nich ukazuje piękno kamienia i stwarza wiele możliwości jego wykorzystania. Może to być powierzchnia polerowana, szlifowana, cięta, cięta tarczą diamentową, młotkowana, płomieniowana, postarzona, szczotkowana, dająca efekt jedwabiu (z połyskiem lub bez), satynowana, „antykowana”, łupana, itd. Ciągły rozwój przemysłu i wprowadzane innowacje, pozwalają cieszyć się nowymi wykończeniami różnych rodzajów kamienia. Właściwości każdego z nich określają rodzaj możliwego wykończenia, co wpływa na estetykę materiału. 12. W jakich wymiarach poleca się kamień naturalny? Wszystko zależy od zastosowania kamienia. Dostępne na rynku mozaiki są oferowane w małych rozmiarach 1cm x 1cm. Spotyka się również płytki o wym. 1,2m x 1m , a nawet większe. Powszechnie stosuje się jednak rozmiary 60x30cm, 60x60cm, 120x60cm. Architekt, sam określa rozmiar projektowanego kamienia. Zalecane przez producentów rozmiary oparte są nie tylko na kryteriach estetycznych, ale również uwzględniają wielkość wydobywanych w kamieniołomach bloków, by poprzez optymalizację produkcji osiągać jak najmniejsze straty. 13. Jakie ogólne właściwości kamienia naturalnego powinno się brać pod uwagę? Ma to znaczenie w przypadku wykorzystania kamieni na zewnątrz, szczególnie w krajach o wilgotnym klimacie. W krajach o gorącym klimacie, w przypadku niektórych kamieni mogą zachodzić zmiany, które spowodują zmianę ich wyglądu. 14. Jaki związek ma porowatość kamienia z absorpcją wody? Porowatość ma wpływ na absorpcję wody i gęstość kamienia. Im większa porowatość, tym większa jest absorpcja wody. W zależności od zastosowania kamienia, należy odnieść się do skali porowatości. 15. Jaka jest trwałość kamienia naturalnego? Wieczna. Jaka jest trwałość piramid (istniejących już 4000 lat)? A tych wszystkich katedr, świątyń, meczetów, pałaców i imponujących budynków urzędowych, o których się uczymy za młodu i ciągle istnieją u schyłku naszego życia? W niektórych miejscach tysiącletnie budynki zostały zniszczone, lecz kamień w nich użyty, został ponownie wykorzystany do budowy nowych. Jednakże, w nowoczesnych budynkach, żywotność kamienia określana jest zwykle na ok. 80 lat. 16. Jak kamień naturalny wypada w porównaniu do innych alternatywnych materiałów w kontekście ekorozwoju środowiska? 17. Jaka powinna być struktura budynku, na którym planowany jest montaż zewnętrznych płyt elewacyjnych? Głównym warunkiem jest solidna i wytrzymała konstrukcja budynku pozwalająca na udźwignięcie ciężaru kamienia, dlatego budynek musi być odpowiednio do tego zaprojektowany. Kamień może być przymocowany do różnego rodzaju powierzchni, przy użyciu odpowiednich technik montażu właściwych dla danej konstrukcji. 18. Jaka jest odpowiednia grubość elementów z kamienia naturalnego? Grubość użytego kamienia jest często kwestią lokalnych standardów, które różnią się w poszczególnych krajach. Kluczowym aspektem, który należy rozważyć jest wytrzymałość kamienia na działające na niego siły. Innymi słowy, grubość kamienia zależna jest od jego zastosowania. Dla przykładu, na nawierzchnie, po których będą jeździć ciężarówki należy zastosować granit o grubości min. 6cm, w zależności od elastyczności kamienia. Elementy o grubości 1cm będą wystarczające na okładziny ścienne. Blaty kuchenne wykonywane są z płyt o grubościach od 2-3cm, choć w niektórych krajach nawet z 4cm, z uwagi na walory estetyczne. W związku z powyższym, w zależności od zastosowania i właściwości kamienia, grubość elementów może wahać się od 1cm do 20cm. 19. Czy dostępne są informacje nt. sposobu mocowania okładzin ściennych z kamienia naturalnego? Istnieje wiele oficjalnych i nieoficjalnych organizacji, które opracowały instrukcje określające kryteria i wymagania dotyczące montażu płyt ściennych i podłogowych. Producenci systemów kotwiczących również powinni dostarczyć kompletne informacje nt. istniejących technologii. 20. Czy kamień naturalny może być zamontowany na istniejącym podłożu, na suchym jastrychu za pomocą kleju? Istotną rzeczą jest, aby nie przeciążać konstrukcji, gdyż może to doprowadzić do deformacji montowanych elementów kamiennych. Innymi słowy, powierzchnia, na której kładziony jest kamień naturalny, powinna być płaska, stabilna i trwała. Wiele dostępnych klejów spełnia powyższe wymagania. 21. Czy mogę położyć kamień naturalny na tarasie z miejscem na grill / ognisko? Tak. Należy się tylko upewnić, że wybrany kamień cechuje wysoka gęstość i niska absorpcja. To zapewni podłodze czystość przez długi czas. 22. Czy montaż płyt z kamienia naturalnego jest skomplikowany? Montaż kamienia naturalnego będzie łatwy i prawidłowo wykonany pod warunkiem, że zrobią to fachowcy. Nawet najpiękniejszy kamień źle położony nie będzie dobrze wyglądał. Jeśli to możliwe, należy poprosić wykonawcę o zaprezentowanie swoich poprzednich prac. Jednakże, najważniejszym jest, aby wybrać odpowiedni kamień do danego zastosowania. 23. Czy istnieje jakiś dobry sposób na wypolerowanie kamienia po zakończonym montażu, aby zachować równość spoin? Spoiny można wypełnić poliestrowym lub epoksydowym wypełniaczem lub klejem. Po utwardzeniu, całą powierzchnię można wyszlifować i wypolerować. Szczeliny dylatacyjne są wypełniane odpowiednim dla kamienia silikonem. 24. W jaki sposób można uniknąć plam / wykwitów powstałych na skutek wilgoci i działania soli? Kamień powinien być zabezpieczony od spodu oraz po bokach specjalną powłoką odporną na działanie substancji zasadowych w połączeniu z piaskiem kwarcowym. 25. Jakiego rodzaju impregnacji należy dokonać, w celu zabezpieczenia zamontowanego kamienia? Generalnie, kamień naturalny jako materiał budowlany, wymaga bardzo niewielkiej konserwacji, jeśli odpowiednio się go traktuje i użytkuje. Po montażu niezbędne jest oczyszczenie powierzchni z brudu instalacyjnego. Do codziennej pielęgnacji można stosować zwykłą wodę, a od czasu do czasu środki pielęgnacyjne przeznaczone specjalnie do kamienia naturalnego. 26. Jak można poprawić naturalne właściwości kamienia naturalnego stosując środki chemiczne? Chemia kamieniarska pomaga wydobyć naturalne piękno kamienia naturalnego i dodatkowo go wzmocnić. Jeśli kamień jest spękany należy go pokryć środkiem z żywicy syntetycznej. To spowoduje zespolenie powierzchni. Jeśli problemem jest utlenianie, należy pozbyć się powstałych nalotów, a następnie zabezpieczyć powierzchnię specjalną nieprzepuszczalną żywicową powłoką. Wszystko zależy od miejsca, w którym zamontowano kamień. Jeśli jest to elewacja, być może raz na 5 lat będzie wymagana konserwacja substancją wodoodporną, jak również odporną na graffiti. Dzięki pracom konserwatorskim, można zabezpieczyć kamień przed czynnikami zewnętrznymi. 27. Jak pielęgnować, zabezpieczać i konserwować wapień, aby zapobiec przebarwieniom? W zależności od rodzaju kamienia, zaleca się stosowanie impregnatów bezbarwnych lub wzmacniających intensywność naturalnego koloru. Impregnat przenika w głąb struktury kamienia, jednakże nie tworzy powłoki na jego powierzchni. Kamień „oddycha”, ale jednocześnie jest chroniony przed wnikaniem zabrudzeń takich jak olej, woda czy kurz. 28. Czy prawdą jest, że utrzymanie czystości płytek z kamienia naturalnego jest o wiele trudniejsze niż płytek ceramicznych? Niekoniecznie, szczególnie jeśli chodzi o granit. W przypadku niektórych marmurów i wapieni, ważne jest przestrzeganie odpowiednich zasad użytkowania i konserwacji. 29. Jakie są standardy techniczne dla kamieni użytkowanych na zewnątrz? Na całym świecie obowiązują różne standardy. W Stanach Zjednoczonych obowiązują normy ASTM, w krajach europejskich EN, w Wielkiej Brytanii BSI. 30. Czy kamień naturalny jest radioaktywny? Radioaktywność jest obecna wokół nas, to część środowiska naturalnego. Jest emitowana przez słońce, występuje w ziemi, powietrzu, itd. Jest również emitowana przez nowoczesne urządzenia tj. telewizory, itp. Granit emituje niewielkie ilości radioaktywnego radonu, oraz oddziałuje wskutek bezpośredniego rozpadu radioaktywnego. Dlatego, właściwe pytanie powinno brzmieć, czy poziom emisji jest niebezpieczny? Odpowiedź stanowczo brzmi NIE. W Stanach Zjednoczonych przeprowadzono liczne badania w tym kierunku i wszystkie wykluczały tę wątpliwość (więcej informacji na stronie www.marble-institute.com/consumers/granite_radoninfo.cfm). 31. Jakie kroki należy podjąć, w celu dopasowania odpowiedniego kamienia lub prac w starych budynkach? Działając w oparciu o obowiązujące standardy, nie powinno być z tym żadnego problemu. Można dobrać odpowiedni kamień do różnorodnego zastosowania. 32. Co należy zrobić, kiedy kamień utraci połysk? Jeśli kolor blednie, nożna zastosować ciekłą żywicę w celu wzmocnienia barwy. Jeśli posadzka kamienna posiada rysy, a nie chcemy szlifować całej powierzchni, należy użyć produktu, który optycznie sprawi, że rysa zniknie (choć praktycznie tak nie będzie). W przypadku dużej powierzchni, być może trzeba będzie ponownie ją wyszlifować lub wypolerować. 33. Co zrobić, gdy w zamontowanym kamieniu są dziury. Jak mogę rozwiązać ten problem? Wgłębienia mogą być wypełnione bezbarwnym lub kolorowym wypełniaczem. W zależności od wielkości i ilości otworów należy zastosować wypełniacze utwardzane światłem ultrafioletowym. Czasem metodę tę trzeba zastosować na całej powierzchni. Montując kamień na zewnątrz w bardzo zimnym i deszczowym klimacie, powinniśmy unikać powierzchni polerowanych i szlifowanych. Posadzki o tej fakturze mogą być bardzo śliskie. W tym celu, najlepiej jest używać płyt o powierzchni płomieniowanej lub groszkowanej, lub jakiejkolwiek innej o szorstkim wykończeniu. Zaleca się stosowanie pasków antypoślizgowych. W celu uniknięcia wykwitów (soli, wilgoci) na zamontowanym kamieniu, powinno się go zabezpieczyć od spodu oraz po bokach specjalną powłoką odporną na działanie substancji zasadowych w połączeniu z piaskiem kwarcowym. W chłodnym klimacie, podczas montażu zewnętrznej elewacji z miękkiego kamienia (tj. wapień) należy zachować szczególną ostrożność i stosować się do zaleceń producenta okładzin. Decydując się na dany wymiar płyt elewacyjnych lub schodów, należy wziąć pod uwagę czy mogą się pojawić problemy podczas ich transportu i montażu. Przy wyborze kamienia naturalnego z przeznaczeniem na blaty, nie można się kierować jedynie estetyczną stroną. Należy wziąć pod uwagę również parametry fizyko-chemiczne. Generalnie, nie powinno się używać marmuru i wapienia na blaty kuchenne. Materiały te nie są kwasoodporne. Aby uniknąć tłustych plam i smarów, powinno się użyć specjalnych impregnatów. Powierzchnia blatów powinna być gładka. W przeciwnym razie może być bardzo trudna do wyczyszczenia. Fontanny są zwykle wykonane z betonu, a następnie wykańczane elementami z kamienia. Niestety, po pewnym czasie, łączenia nie prezentują się już tak okazale z uwagi na niszczące działanie wody. Tego problemu można uniknąć używając trwałych elementów o odpowiednim rozmiarze minimalizującym ilość łączeń. Można również montować i łączyć ze sobą elementy kamienne za pomocą dwu składnikowych klejów epoksydowych, co zapobiegnie pojawianiu się wykwitów cementowych. Podczas montażu ogrzewania podłogowego, w przypadku niektórych kamieni jak trawertyn) należy wziąć pod uwagę, że wypełnienia mogą ulec zniszczeniu pod wpływem działania ciepła. To nie jest defekt. Po prostu należy pamiętać, aby włączyć ogrzewanie podłogowe przed instalacją płytek. Wtedy instalacja odpowiednio osadzi się w betonowej wylewce i nie spowoduje późniejszego spękania kamienia. Niektóre kamienie powinny być wzmocnione żywicą i siatką od spodu. Dzięki temu kamień stanie się mocniejszy, a my będziemy mogli cieszyć się jego większą możliwością wykorzystania. Stone is a nobel material. Man has prplerved it in his victoripl and his laws, his religion and his art. Since the distant origins, man has used it to protect himself. He has made stone his partner, because it is solid and he can trust it.